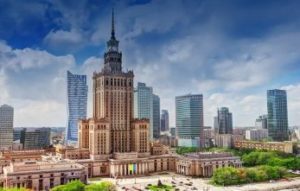 MT Targi Polska, organizer of the 26th International Travel Show TT Warsaw, invites Exhibitors to participate in a new competition promoting active tourism. The winners will receive commemorative statuettes and advertising packages worth PLN 5,000. The competition is scheduled for 22 November 2018. The competition under the name of “AcTTive” has been divided into the national and foreign part. Products and attractions will compete in terms of originality and innovativeness of the idea, impact on local and regional development, compliance with the principles of sustainable tourism, degree of commercialization, quality of infrastructure, accessibility and manner of presentation. Applications will be evaluated by a jury composed of experts representing tourism, sport, education and representatives of trade media. Detailed information along with the application form are available at .